The Pre-K year is an exciting time in the academic and social life of a child. Students at this age are naturally curious about the world around them. At BCA, students are taught the tools of learning and introduced to subject content through the lens of a Biblical worldview. Students engage in learning activities that allow them the opportunity to experience God’s truth and beauty as they explore the world around them. The BCA Pre-K program provides an appropriate research based educational curriculum aligned with, but not limited to, the objectives set by the state of Texas. 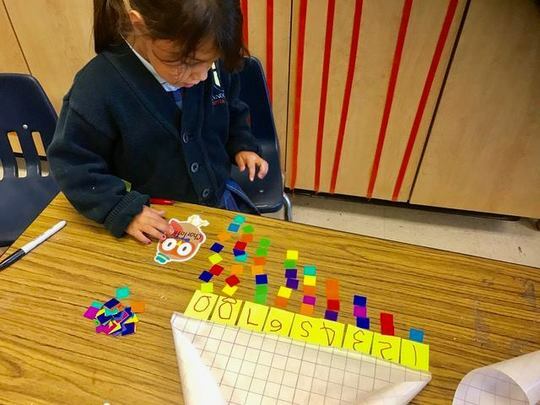 Through the curriculum, students acquire the social and developmental skills necessary to make a successful transition to Kindergarten. Skilled and professionally certified teachers nurture students’ natural love and joy of learning and provide a classroom environment where students are motivated to be active and attentive participants. Subject matter are taught thematically and the use of activity centers further enrich the students’ understanding of instructional material. Language, literacy and math development is the focus of the curriculum. 5-day program: Instruction is given in Language Arts, Math, Science/Social Studies, Bible and Technology, as well as daily enrichment classes. Enrichment classes include P.E., Music, Art and Library. Students attend a school wide Chapel once a week. Students enrolled in the 5-day program take part in all school wide functions. The school day begins at 7:50 AM and dismisses at 3:00 PM. 3-day program: Instruction is given in Language Arts, Math, Science/Social Studies, Bible and Technology. Enrichment classes are offered on a rotational basis and include P.E., Music, Art and Library. Students attend a school wide Chapel once a week. Students enrolled in the 3-day program participate in the Christmas and Spring concerts, and are included in other school wide activities as possible. Classes are held on Tuesday, Wednesday and Thursday from 7:50 AM - 3:00 PM. Attend to instruction for five minutes. Recite their full name, as well as their parents full name. Recognize and identify some letters. Recognize simple math concepts - small, medium, large; more or less than. The goal of the BCA Pre-K program is to empower our students academically as well as spiritually in order that they might know God and make Him known. Please find a sample schedule and poem attached below. Email admissions@bcaaustin.org as questions arise.